One of the biggest requests I get about decluttering is how to best clean out and organize is the closet. How on earth can we get our closets slimmed down and set up in a way that is both efficient and tidy? Well, I realize a closet is a personal space and my system may not be the best fit for you. So, this time I decided to call my friends in for help. 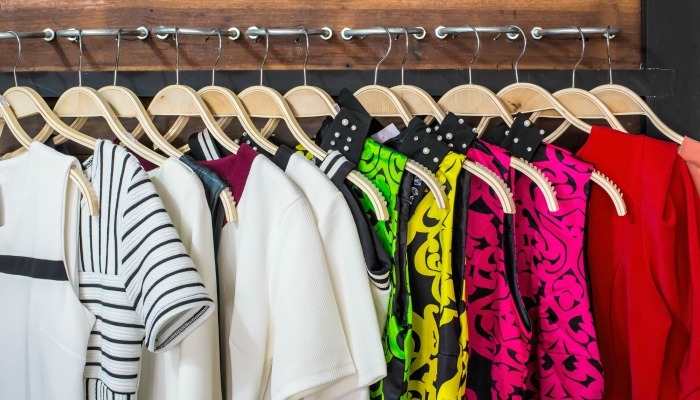 How to organize your closet when it’s hard to let go. Some of the best organizing and decluttering bloggers have pulled together to share their awesome closet wisdom. Pick and choose one or all and finally get the closet of your dreams. Hack #1 Do a closet audit. I think this may be my new favorite buzz-line. A closet audit is simply a way to pare down and remove what you do not need. By removing some of the excesses the clothes you love will have room to breathe and will in turn last longer. My favorite way to do a painless closet audit is the “hanger trick”. If you have not heard of this popular tip it’s super simple. (which are my favorite tips EVER!) Take all of your clothes that are currently hanging in your closet and turn the hangers around so they are hooked on your curtain rod from behind. As you wear an item replace the hanger to the correct position. This will easily show which clothes you love so you know those are the clothes to keep. If you are still not quite sure how to pare down, Hillary from Simplify Your Life will walk you through your closet audit step by step. She will show you how to painlessly let go of the clothes you no longer love so you can take better care of the clothes you do. By touching each item and making a decision you take the guesswork out of the entire process. Hack #2 Find a system that works. Our closet has the oh so lovely wire shelving, baskets, and rods. This is an older system but it works great for us so we see no reason to make a change. You, however, may be in the market for a whole new closet so these next few tips are just for you. Ann from Ann’s Entitled Life has a nice step by step tutorial for installing a Closet Made System. I have seen these setups before and I just love the shelving and how nice it all looks when it is finished. Not sure a full system is the best fit for you? Take it one step further and create your own. Danielle over at DIY Danielle has a great video tutorial showing you before and after with a complete DIY guide to set up your own closet system. She even added an adorable sitting bench that I am in love with! 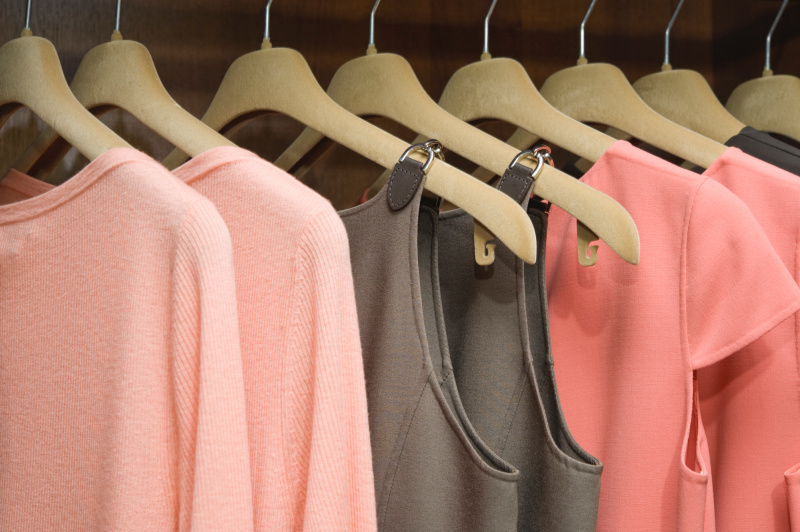 With a fresh and clean system, it will be much easier to finally organize your closet. Hack #3 Don’t forget the extras. It’s crazy how many things end up in our closets. Shoes, socks, change, toiletries, jewelry, scarves, hats, I could go on and on. To keep things neat and easy, it is best to have a spot for each category of items. I love to use a jewelry tray to keep things from getting tangled. I can easily keep like items together in one of these trays. Bracelets, rings, even cuffs all lay nicely in these trays. Not only do they work perfectly, but they look great too. My boys loved my trays so much they each got one for their closets as well. Don’t worry about your necklaces, Damjana over at Apple Green Cottage as an idea that I just love. By attaching a metal hook rail she found in a hardware store she was able to get her necklaces up and out keep them free from tangles. 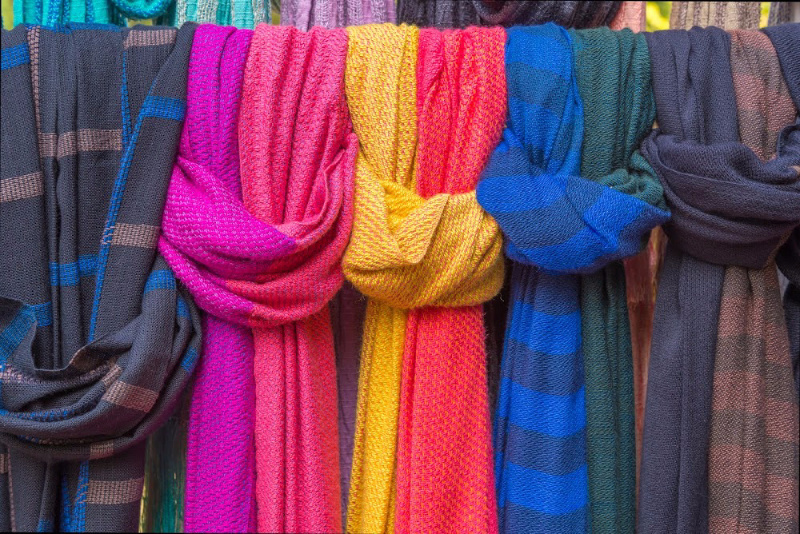 Ellen from Confessions of an Overworked Mom has some great tips for organizing your scarves. She has several options that will get your scarves up where you can see them. With your accessories front and center rather than in a small tote on a shelf you will be more apt to use them rather than forget what you have. I love having my things out, it really keeps the clutter down since I am not buying more of what I have plenty of. Another great idea is to make what you have work better. Gone are the days of closets with only rods, so many systems now include shelving, baskets and even drawers. I just love what Damjana over at Apple Green Cottage does to get a little more room and some amazing organization to her drawers. A DIY anyone can pull off in a snap! Hack #4 Organize, organize, organize! Now that you have done a closet clean out, have a system in place and all of your accessories out where you can see them let’s get things organized. Leslie from What’s Working Here gives you all the tips you need to find a system that works best for you. I love her three ways to organize and the trick here is what works for you may not work for your spouse. I love to color organize my clothes where Hubs prefers clothing type organizing. Each system is neat and tidy and easy to maintain since it is tailored specifically for us. Not sure which way is best? No worries, try one out and then another until you find what fits. If you soon see that your closet is getting cluttered, then try a different way to see if that works better. When it’s easy to do you have found your winner! Hack #5 When it’s hard to let go. I get it, some of your clothes are special and you just can’t let go of them. And I am not asking you to. The trick here is to find a middle ground. Keeping things that you are emotionally attached to is absolutely okay. But when you get to a point where your things are overtaking your home and in turn causing you stress, it’s time to find a plan B. Set out those items you just can’t seem to part with and as yourself why? Is it a jersey from high school? Place it in a memorabilia case and display in a game room or office. Is it your prom dress? Take a photo for a scrapbook and donate to a young girl so she can make her own memories. Is it baby clothes? Have pieces made into a blanket that you can enjoy again and again. Is it a wedding gown? Take to a professional so it is packaged and stored correctly. Now you can save it for your daughter or future daughter-in-law to wear or make into her own gown. Find a way to honor what you love so your memories are not forgotten. Letting things go so you can organize your closet can be so traumatic, but it doesn’t have to be. Take your time, follow these amazing tips and you will soon be able to organize your closet and love what you have without being overrun with things.